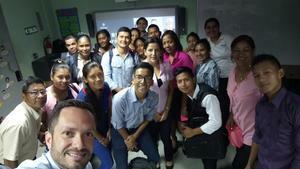 Teachers from Nuevo Progreso, Santa Librada, Emilia Valdelamar and Jose Del Carmen Mejia Elementary Schools attended the Pearson's All BIG Stars training session. Teachers were asked to do short demonstrations about their practices, according to the five steps for BIG Fun and BIG English, as well as the 5E Methodology for BIG Science. During the sessions they had to plan their demonstrations with teachers from different schools, this means they could exchange their methods and create a new strategies. 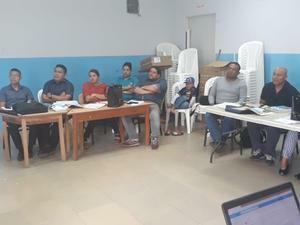 On March 15 we held our first workshop, in which we counted with the participation of 15 English teachers and academic instructors of Panama Bilingue Project. Chiriqui Province had celebrate at the beginning of the year their first Super Students and Super Teachers Project. It was a great initiative that we all enjoyed. Cocle also did a great job with the first Super Student Project. They all work together to make a real Super Students Project. The Comarca Ngabe Bugle also participated with the Super Student Project, they did not want to be left behind,they know Education is First!! On Friday, July 28th, Kuna Nega Elementary School celebrated its XXII anniversary. For this event, an invitation from the teachers and the principal was sent to the Academic Consultant. 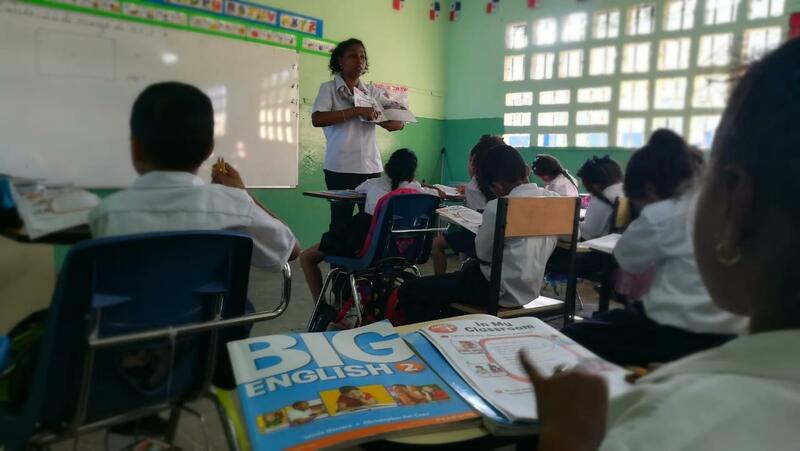 It is important to mention that this school has been working with the Panama Bilingüe program for two years now, for this reason the students have the privilege to have a set of well-trained teachers to deliver amazing lessons and develop in our students the basic communicative skills. In this school, teachers have achieved to apply all the methods necessary in order to have effective lessons. Students are getting ready for the new world that awaits them. They do presentations once they finish working together. This way teachers can show the instructions can go beyond the text book, allowing students to develop their handy skills and their critical thinking. Using recycled material has become a teaching strategy that allows the students to understand what is considered garbage, can be used in order to create tools that allow comprehend better what is being studied. In the Science area, it is relevant that teachers can show the students that a planet with less garbage is possible, improving this way human beings’ lives. Kindergarten students have now begun to do short presentations, showing confidence with themselves. And when it’s time to hand working, kids enjoy making the projects proposed at the end of each unit. On June 23rd, the community from the school could enjoy the funny English Week closing. It was a circus theme, loaded of jay and active participation from the English teachers. In this activity, the students from different grades did performances and musicals. The principal participated in the activities, showing the support, she has always given to the Panama Bilingüe program since the beginning.